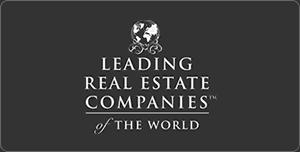 Wendy has spent her 27 year real estate career in the Commercial Real Estate Industry specializing in leasing, sales and management of a mixed portfolio of properties including office, retail, industrial and multifamily for owners\developers and large institutional companies in the Southeastern United States. Her roles have included a full scope of operations, tenant relations and retention programs, leasing, sales, tenant representation, construction management and investment analysis of commercial property including office, retail, multifamily and industrial. She holds expertise in problem solving with a high degree of imagination, ingenuity and creativity for all aspects of commercial real estate. Ms. Pierce is proven to be a strong negotiator, able to effectively interface with clients, tenants, brokers and contractors during complex situations. 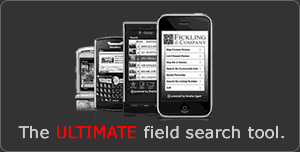 Prior to joining Fickling & Company, Wendy was a General Manager with Grubb & Ellis and successfully negotiated leases for many Fortune 100, 300 and 500 companies including Merrill Lynch, New York Life, Ricoh, Robert Half International and Synovus Wealth Management, Auto-Owners and Accountable Healthcare Staffing. Wendy was recruited by Fickling & Company in early 2005 as Director of the Commercial Property Management Division and was responsible for overseeing management, leasing, new business development, and customer/tenant relations of a large portfolio of commercial office, retail and industrial properties. Shortly after her recruitment to Fickling & Company, her expertise of all aspects of commercial real estate sales and leasing opened an opportunity to join the Transactions Team. From that time, she has been a Top Producer for the past few years and continues to provide excellent service to her clients. Her experience includes negotiations of numerous retail leases, both from a Tenant Representation and from a Landlord representation standpoint in grocery anchored, non-anchored strip and small shop retail centers including outparcel negotiations with such tenants as Yum Brands, Papa John’s, Subway, Staples, Great Clips, Cuts By Us, Five Guys Burgers & Fries, Dunkin’ Donuts, Ombudsman and Early Autism Project among others. Her exposure in the retail arena has afforded her to participate not only in the leasing of moderate and upscale retail shopping centers but also the sales where she has participated in the negotiation of leases to Regional and National credit tenants. She has successfully administered complicated long range property operation plans and budgets including marketing and lease up programs as well as comprehensive marketing programs for sale of office, retail development and mixed use sites for her clients. In addition to her expertise of tenant representation and general transactions services, she has successfully handled dispositions of OREO properties for various National and Regional lenders such as OCWEN Financial, BB&T, SunTrust and FDIC. Ms. Pierce’s experience in sales, leasing, management, construction management and tenant improvement projects and her dedication to clients strengthens her ability to serve her clients with the utmost in professionalism. 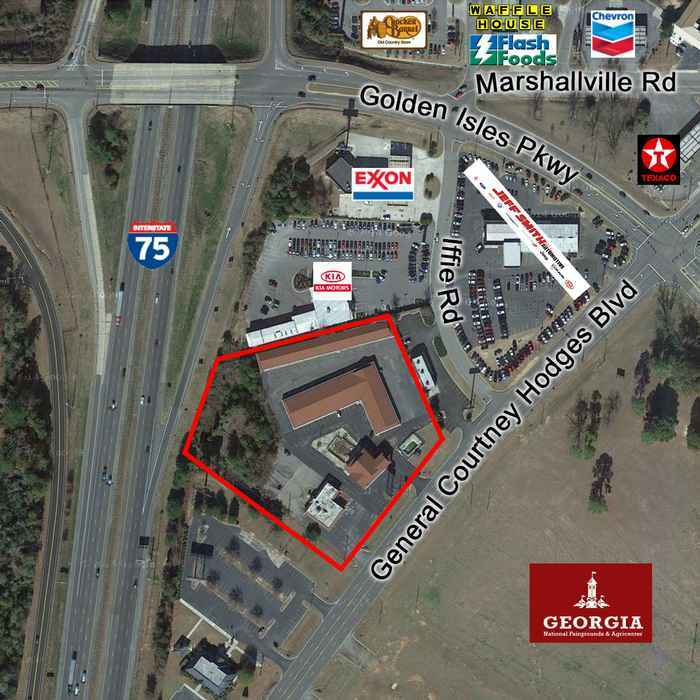 Tower Plaza in within walking distance to downtown Carrollton and is in the immediate vicinity of other national retailers such as Walmart, Lowe’s Home Improvements, Home Depot, Target, Tractor Supply, Publix, Kroger, Belk and many others. 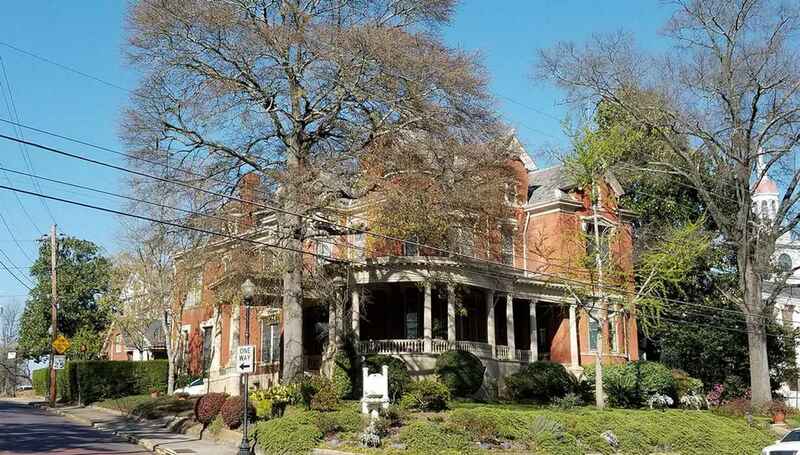 Located just 2.9 miles from the University of West Georgia main campus whose enrollment is over 13,500 undergraduate students. 2,500 SF office 2nd floor. 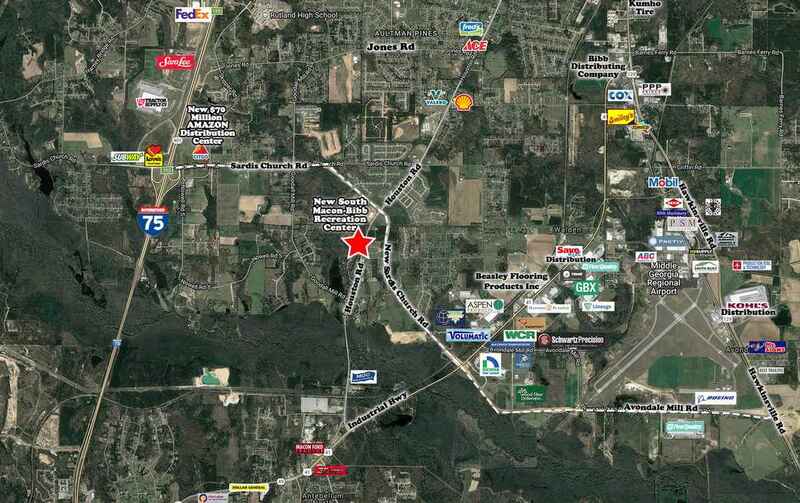 120,868 +/- SF Tractor Supply anchored shopping center. High traffic count, 14,800 vpd. 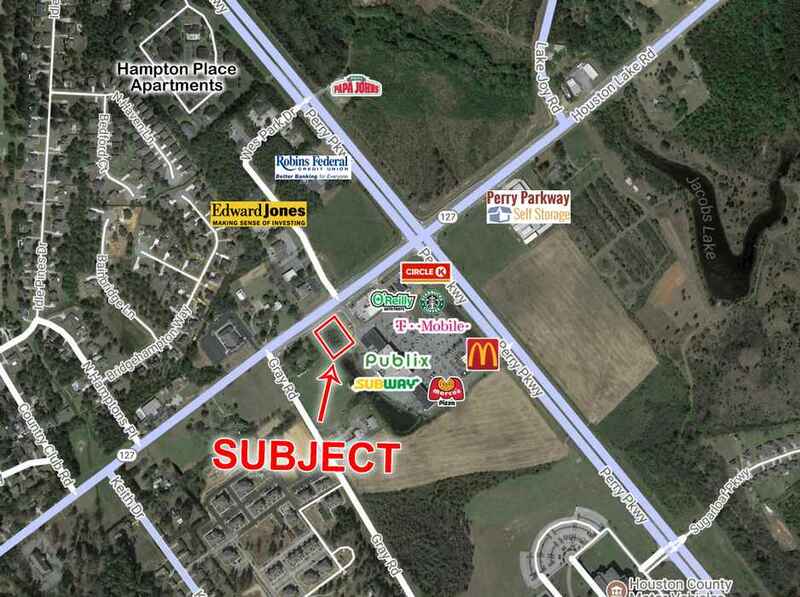 11,000 sf shopping center less than 1.5 miles from the Shoppes at River Crossing. 1 space available. Highridge Centre is the premiere Class A office building in the Macon and Middle Georgia area. Constructed in 1988, Highridge Centre is a four-story building situated on a beautifully landscaped lake in North Macon. Highridge Centre, convenient to historic downtown, is home to many Fortune 500 companies and is known for its prestigious two-story marble and granite atrium lobby, covered parking deck, on-site security, fitness center, fiber optic communication, and award winning landscape. SOLD 2.23.17 $235,000 - 3,847 sf brick office building in Warner Robins, GA. Building can be leased to a single tenant or multiple tenants. Spacious layout. Excellent for professional use such as law firm, medical, CPA, architect, insurance, or government contractor office. Great Potential Investment Property or end user. 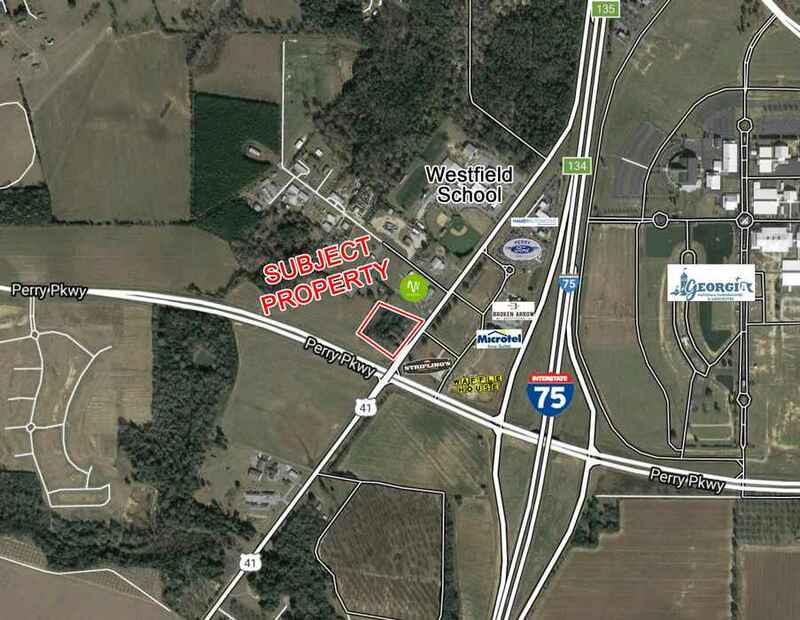 3.75 acres with interstate frontage. Zoned C-2. An additional Outparcel (Call for Ground Lease Pricing). 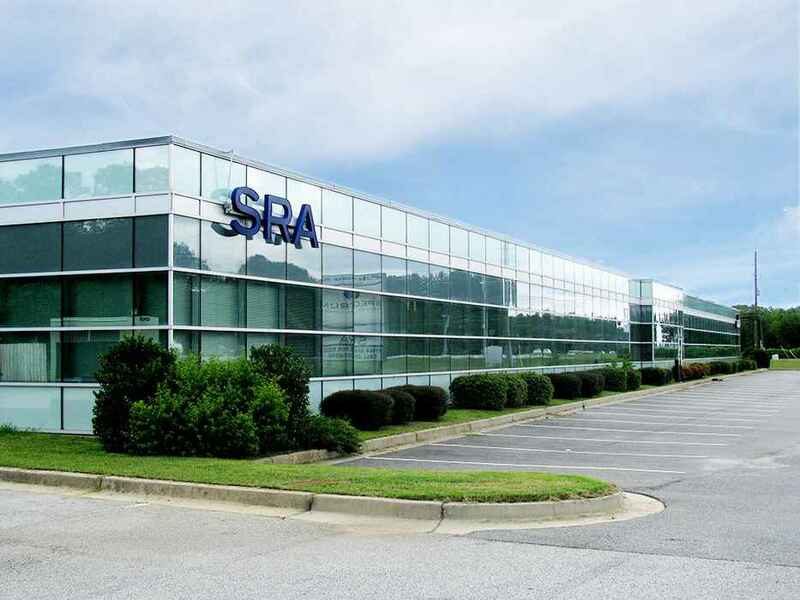 6 spaces available - 2,000 sf to 10,758 sf contiguous space. Suggested uses: Restaurant, Retail, Medical, Hair & Nail Salon, and Service related (mobile). Traffic into shopping center averages 50,000 +/- vehicles per month. Former trucking company. Building features include: 1,800 sf office, a shop area, and a shed area. 94,920 SF Kroger anchored shopping center. Kroger draws an average of 31,000± customers a week. Excellent visibility with multiple access points. Average household income in a 1-mile area is $84,711. National tenants include Kroger, World Finance, Marco’s Pizza, and Great Clips. Traffic counts on Hillcrest Parkway 13,000 average daily and Brookhaven Dr 3,770 average daily.